As my tea bar does more direct tea buying (as opposed to buying through distributors), I have an opportunity to taste some absolutely fascinating teas. As I tasted some estate-grown Darjeelings the other day, I was reminded of how much difference the picking time makes on the character of the tea. A “reference cup” (far left) for comparison with three Darjeelings from the same estate. The other three are a first flush (with yellow label), a second flush (green label) and an autumn pick (blue label). 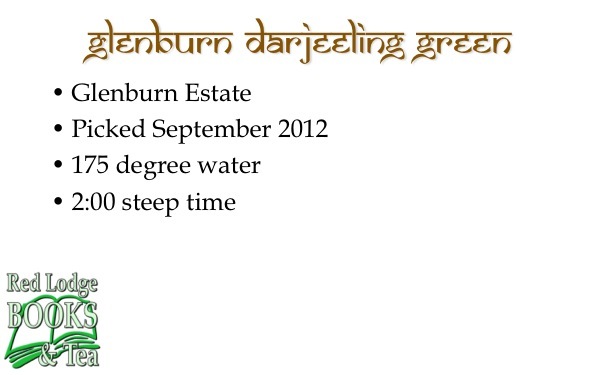 The three teas on the right side of the picture above are all Darjeeling teas from the Glenburn estate. The terroir is identical. 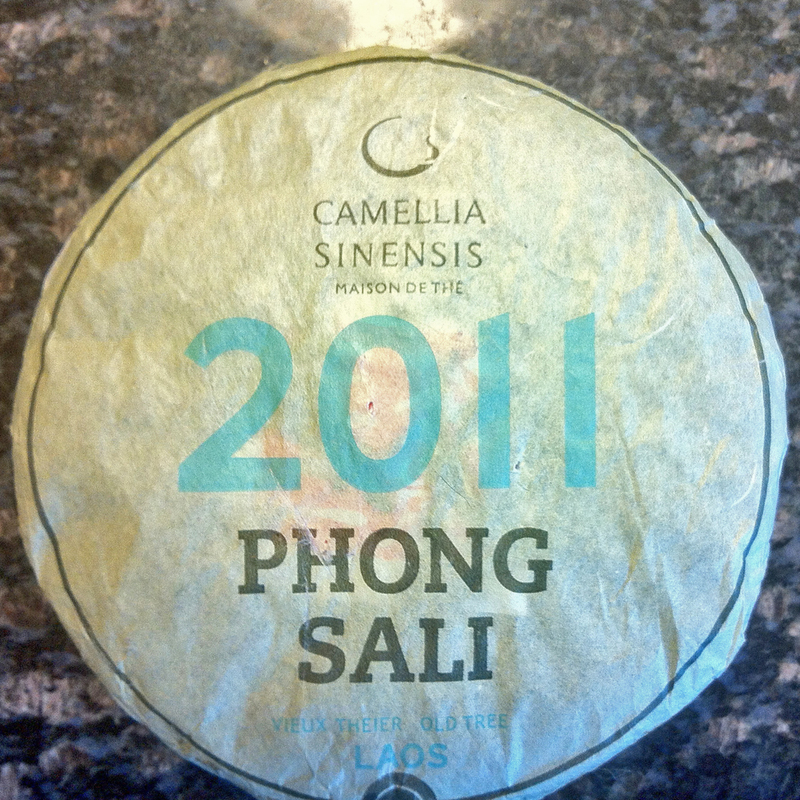 It’s the same varietal of Camellia sinensis var sinensis (the Chinese tea plant) — all FTGFOP1 clonals. They are all black teas. They were steeped for the same amount of time using the same water at the same temperature. I used the same amount of tea leaf for each cup. What’s the difference? The light golden tea second from left is a first-flush Darjeeling, picked on March 20th. At that time of year, the spring rains are over and the tea plants are covered with fresh young growth. 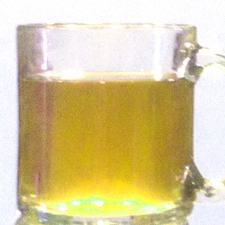 The tea is very light in color, and the flavor is mild but complex with a touch of spiciness. Although all four of the teas in the picture were steeped 2-1/2 minutes, I actually prefer my first flush Darjeelings steeped for a considerably shorter time (although everyone has different opinions on that). I’m drinking a cup as I write this, and it’s just about right at a minute and a half. The amber cup to the right of the first-flush is a second-flush, picked in June. 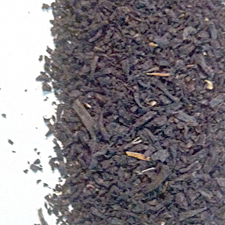 The drier summer climate produces a heartier cup of tea, with a flavor often described as “muscatel.” There is more body and a bit more astringency as well. The darkest cup of tea on the far right is called an Autumnal Darjeeling. This one was picked on November 10th. By then, the monsoons are over and the new growth on the tea plants has matured. An autumn-picked Darjeeling will be darker in color, stronger in flavor, and fuller-bodies, but without as much of the spicy notes Darjeelings are known for. These seasonal differences account for massive differences in caffeine content as well. Early in the season, tea plants will have more caffeine concentrated in the new growth, which is what’s picked for the delicate high-end teas. 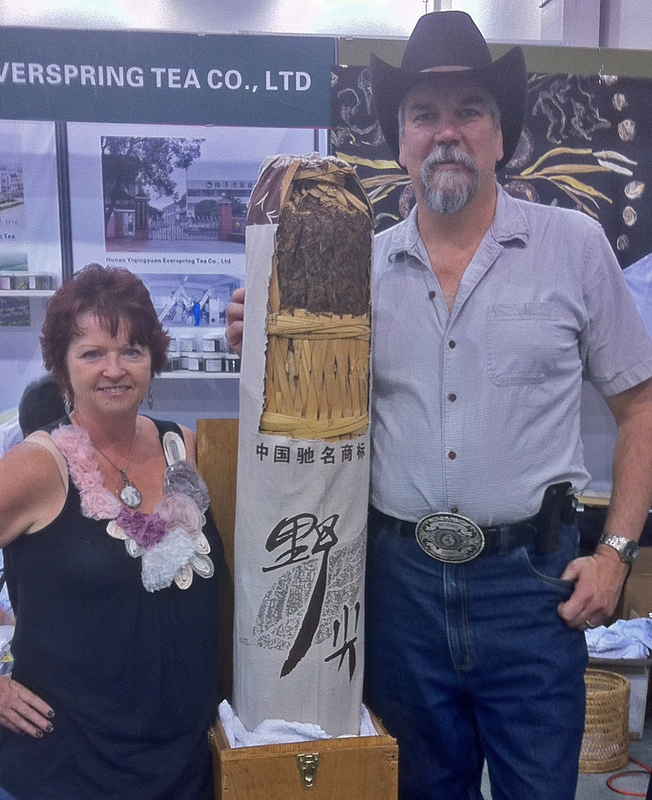 The data that Kevin Gascoyne presented at World Tea Expo last year showed a 300% increase in caffeine between two pickings at different times of year in the same plantation. 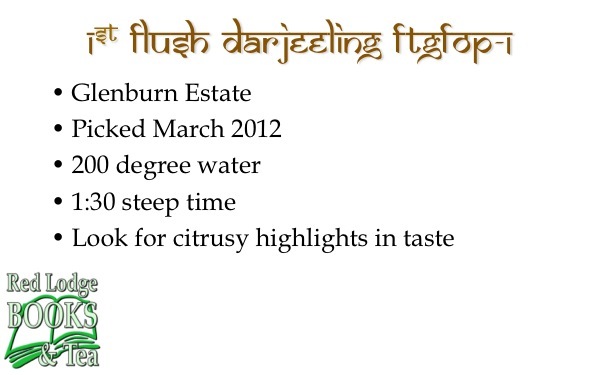 Comparing Darjeeling teas can be difficult, as much of the “Darjeeling” tea on the market isn’t authentic. According to this 2007 article, the Darjeeling region produces 10,000 tonnes of tea per year, but 40,000 tonnes is sold around the world. 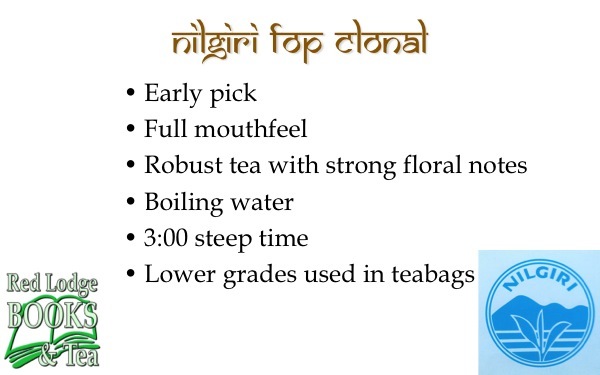 Even if you don’t consider the local consumption, that means 3/4 of the tea sold as Darjeeling is grown somewhere else. That’s why it’s so important to buy from a trusted source. When selecting teas, we tend to look first at the production style (black, green, white, oolong, pu-erh), and then for the origin (a Keemun black tea from China is quite different from an Assam black tea from India). As consumers, we rarely know the exact varietal of the plant or the picking season, but those factors are every bit as important to the final flavor. I suppose the main message of this article is that you can’t judge a tea style on a single cup. 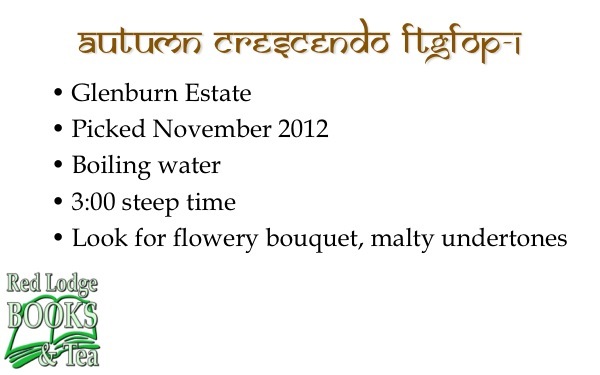 You may love autumnal Darjeeling and dislike first-flush. You may enjoy a second flush from Risheehat and not the one from Singbulli. The Keurig pokes one hole in the top (visible here) and one in the bottom when it brews. We checked into the Lake Hotel in Yellowstone last week for the latest stop on my book signing tour. As usual, I schlepped in all of my tea stuff so I could have a decent cup in the morning: electric kettle, teapot, a selection of loose-leaf tea. Frequently, hotels have coffee makers in the room (unless you’re in Las Vegas), but I don’t like having my tea water taste like coffee, so I don’t use them. In this room, however, was a Keurig® B130 In-Room Brewing System, the kind that uses the single-serving K-Cups. The sampling of K-Cups in the room included two regular coffees, two decaf coffees, one tea, and one herbal blend. 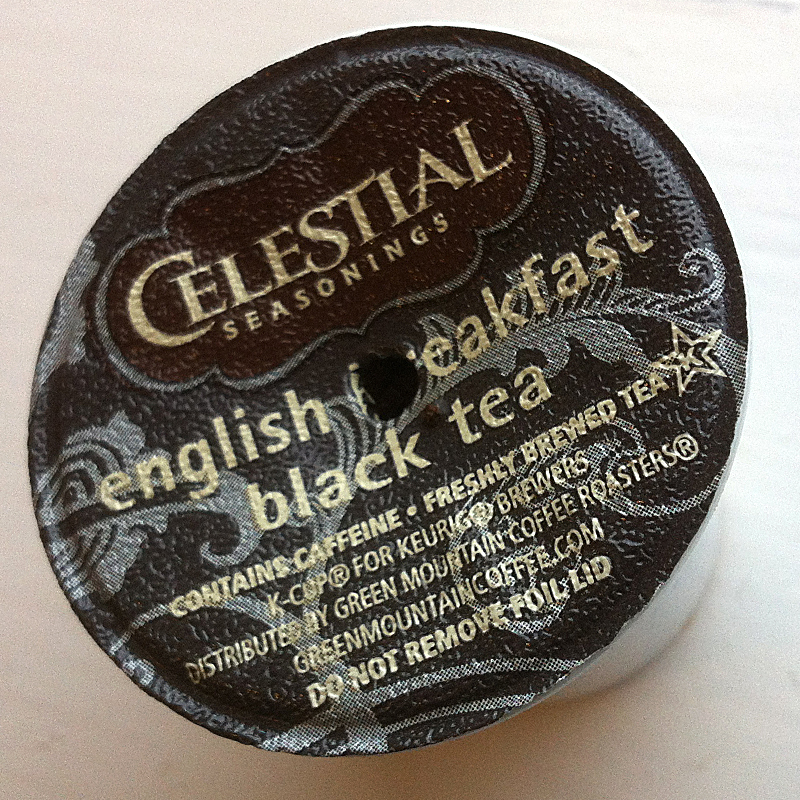 I decided to give their Celestial Seasonings English breakfast tea a try. For some reason, Celestial Seasonings decided not to capitalize “English.” Because of my Scottish heritage, that makes me smile, but that’s irrelevant to the subject at hand. The cup was ready surprisingly fast (one point for the machine), with much hissing and burbling. And it tasted like … your basic cup of breakfast tea in a restaurant. I don’t take milk or sugar in my tea, so I use shorter steeping times than the British generally do. Unfortunately, there are no adjustments on this machine, so I got a stronger, more astringent brew than I wanted. Minus one point. I couldn’t taste any coffee at all in my tea — and I am pretty sensitive to that flavor — so that’s plus one point. After my wife removed the tea K-Cup and made herself some coffee, I decided to see if I could get a second infusion out of the tea. I carefully lined up the puncture hole on the bottom of the cup and reinserted it. I followed the rest of the process as before, and got a pretty decent second cup. 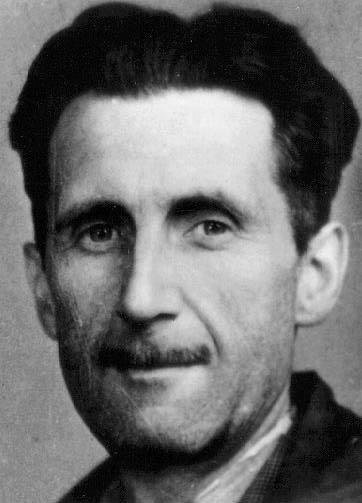 It was weaker than the first, of course, and similar to what you’d get if you reused a tea bag. 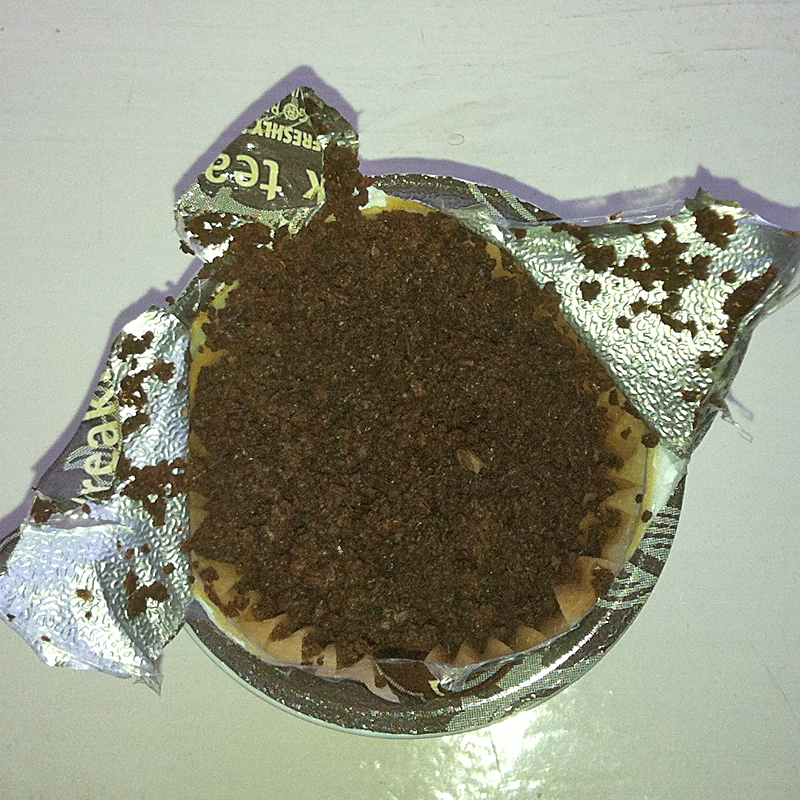 The used K-Cup was quite full of leaves. Opening the used cup gave some insight into the workings. As you’d expect with a mass-market breakfast tea, they used CTC (crush, tear, curl) processed leaves, broken into quite small pieces. This provides the large surface area needed for the accelerated brewing process Keurig uses. I understand you can purchase special K-Cups to fill yourself. It would be interesting to play around with whole-leaf teas and tweak the amount of leaf. Unfortunately, since you can’t adjust water temperature, the Keurig would destroy delicate white or green teas, and since you can’t adjust steep times, it would produce bitter oversteeped pu-erh or Darjeeling. 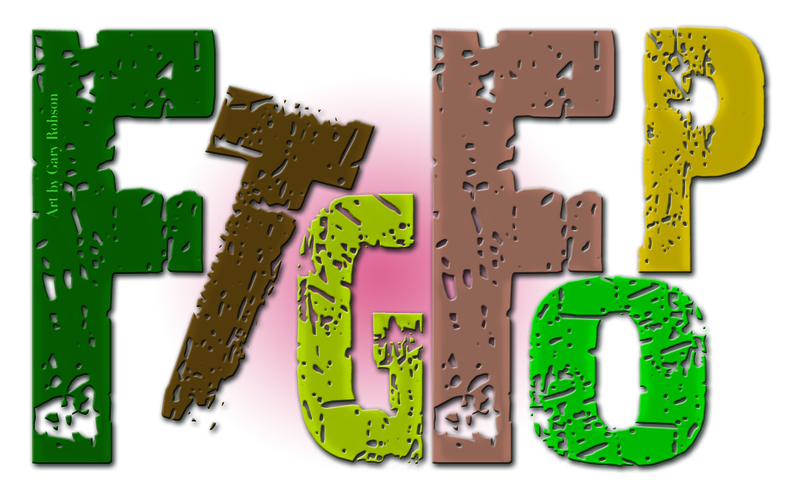 Interestingly, I took a look at the list of tea K-Cups on Keurig’s website, and it does include green and white tea. I’m guessing that their target audience probably uses boiling water in green tea anyway, and doesn’t realize it’s not supposed to taste like that. 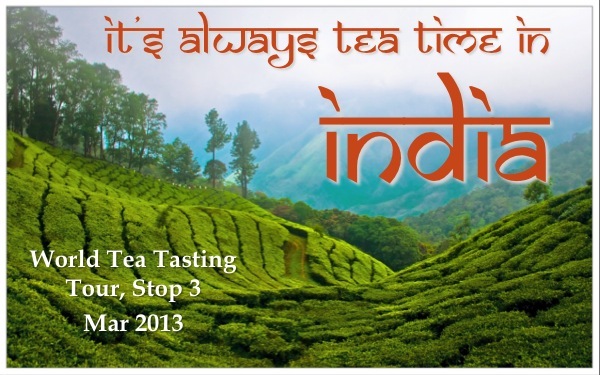 Most of their 50 selections are black tea, of course, and many are herbal tisanes rather than tea. There are a couple of chai selections there, and I’m guessing those would work. In conclusion, if you’re looking for a fast, easy way to replicate your basic restaurant-style black tea, the Keurig will work admirably. If you want more than that, it’s a lot cheaper to buy an electric kettle and an IngenuiTEA, and you’ll get much better tea, too. The Keurig Brewer is at heart a coffee maker, and using it for making tea is like driving nails with a wrench: you can do it, but it’s a sub-optimal solution.